Arunachal Pradesh Chief Minister Pema Khandu on Friday chaired the inaugural session of the two-day annual workshop on Annual Development Agenda 2018-19 attended by ministers, parliamentary secretaries, MLAs, commissioners, deputy commissioners, secretaries and other top officials from the State Government at the State Banquet hall in Itanagar. The Chief Minister in his address said that for the first time an inclusive review exercise is being undertaken and roadmap chalked out for ensuring that all announcements made in the budget are executed and finished, in entirety, within the stipulated time frame during this financial year. He said the objective of the workshop is also to strengthen the feedback system involving deputy commissioners and the departments to sort out issues hindering the smooth implementation of schemes and projects at the field level. The Chief Minister said through such exercises the institution of deputy commissioners will be strengthened and decision making at grassroots level will be empowered, a planning system that was prevalent when Arunachal Pradesh was a union territory. He hoped to see that the old grassroots level of planning system of union territory days is restored in due course of time expressing concern over the present planning process of taking decisions at the top level, which if allowed to continue will jeopardize the whole system. Deputy Commissioners have been delegated with maximum power and responsibilities for making the decentralized planning process a success story. About 25 flagships programmes and 138 announcements have been announced in the budget, which is to be implemented as per the guidelines prepared, Khandu said. The Chief Minister requested the deputy commissioners to play proactive role in successful implementations of these schemes and to take monthly review meetings and regular monitoring of works. 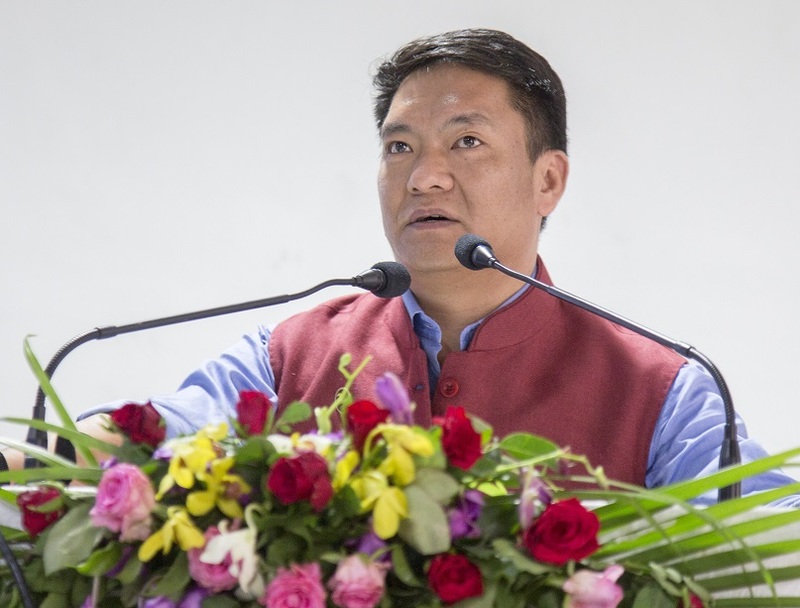 Emphasising on the leadership role that a deputy commissioner could undertake, Khandu recalled the services of few officers who went out of their way trying to bring changes in people’s lives. Deputy Commissioner Neerunanda posted in Tawang in 1970s took the first initiative to build the existing Tawang-Lumla road purely out of donations from the public without using a penny from government sources. He also cited example of Armstrong Pame, an IAS officer from Manipur who made similar venture and expressed that he wishes to see similar leadership attitude in other officers too. Khandu informed that the effort of the state government to have separate civil service cadre for Arunachal under UPSC could become a possibility. He said the matter is being talked at the political level in the centre and may materialise after the 2019 elections. Deputy Chief Minister Chowna Mein in his speech called upon all to ensure that the initiatives taken by the Government reach to the last mile of the society and called to work in a coordinated manner to ensure that the new schemes are implemented well on the ground. While informing that Niti Aayog has given top most priority to ensure time bound transformation of 115 Aspiration districts which have been identified by the Centre on the basis of key performance indicators, Mein requested all stakeholders especially secretaries and commissioners to proactively act on this issue and converge the efforts of Govt of India, Niti Aayog and State Government so that the requirement for transformation in identified sectors can be fulfilled rapidly. Speaker Tenzing Norbu Thongdok, chief secretary Satya Gopal, development commissioner Kaling Tayeng and others also spoke on the occasion.